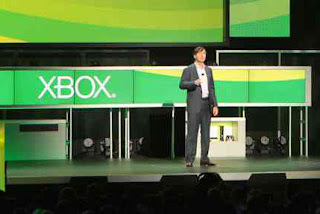 In a nutshell, Microsoft is leaning forward on XBox 360. I guess if that is all you have...you work with it. The XBox 360 is still a very capable gaming console that delivers a quality gaming experience. And nearly every demo that Microsoft is showing has some form of Kinect feature such as gesture or voice commands. 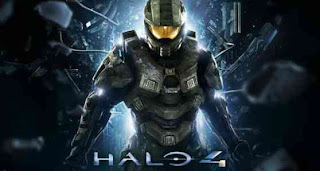 That the very top of their gaming arsenal is the latest Halo game cleverly titled Halo 4. Now it should be noted that this is the first original Halo game not developed by the series creators Bungie. 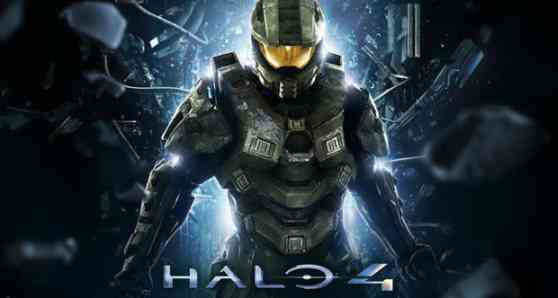 The new developers, 343 Industries are a studio created by Microsoft to oversee the brand with the departure of Bungie. The game includes the return of a long thought dead race...the Forerunners, new AI and I'm sure new gameplay features such as the new head-up display tech shown today. 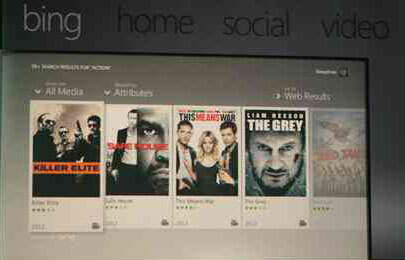 Another title highlighted was Ubisoft Tom Clancy's Splinter Cell Blacklist. This series has done well and the quality is always top-notch but for some reason I tend not to play through these games. New features include nice subtle Kinect features like the ability to be hanging off a ledge and make noise to summon a guard to the edge so you can take him out. 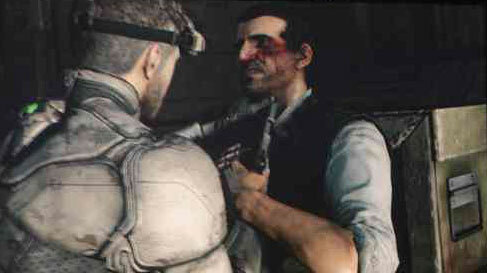 Splinter Cell Blacklist is due out in the Spring of 2013. In the sports section, Microsoft highlighted the addition of Kinect voice command features. Madden 2012 really looked to take the best advantage of this with support for pre-snap audibles, calling your plays and most impressively...the ability to call out a single players name! 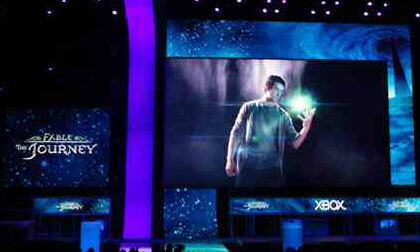 Another title that is suppose to be completely controlled by the Kinect gesture and voice is Fable: The Journey. In this game you cast spells and control objects in the environment without a controller in your hand. It is a grand vision and hope to spend some time testing this out in the near future. We also got to see a new Forza car racing game takes all the physics and car choices from the past games in the series and takes you onto the open road. This idea of taking a game and expanding into an open world is the hot trend today and we should expect to see more of this across other game series. 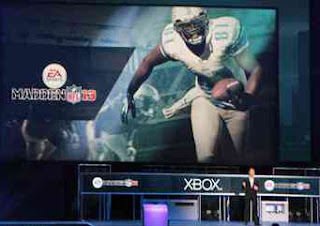 This latest Forza will be available October 23, 2012. Microsoft continues to highlight that the Xbox is not just a gaming device but also provides you with an access to many of the popular video streaming options. They also believe their device is the easiest to use with features like the integrated Bing Voice Search feature that allows you to search for your content by name or genre. Nike and P90x are both gunning to offer fitness products this year with support of the Kinect! It is a bit unclear what the tablet does beyond what is currently available as a second-screen device. They demo HBO Go application on a tablet synced with content streaming from the XBox...but doesn't it do most of this already? 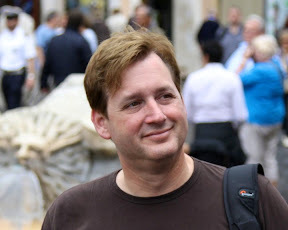 If this all adds up right, Microsoft is trying to introduce an AppleTV competitor? Tomb Raider, Resident Evil 6, South Park, Dance Central 3 and yes...Call of Duty: Black Ops II. 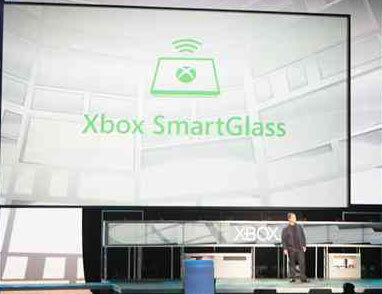 I'll provide more detail and footage from the show floor when it opens tomorrow. Should you want to watch the full press conference...here you go!